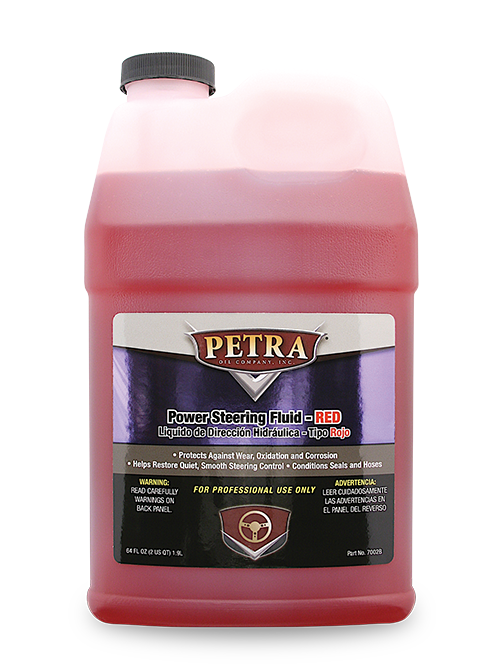 Petra’s Power Steering Fluid Red is a premium quality power steering fluid and conditioner that is suitable for use in most automobiles and trucks. 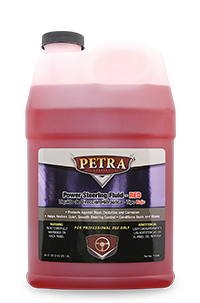 Petra’s Power Steering Fluid is formulated with premium quality lubricants and plasticizers that prevent the shrinkage and drying out of seals and meets most domestic and import vehicle specifications. 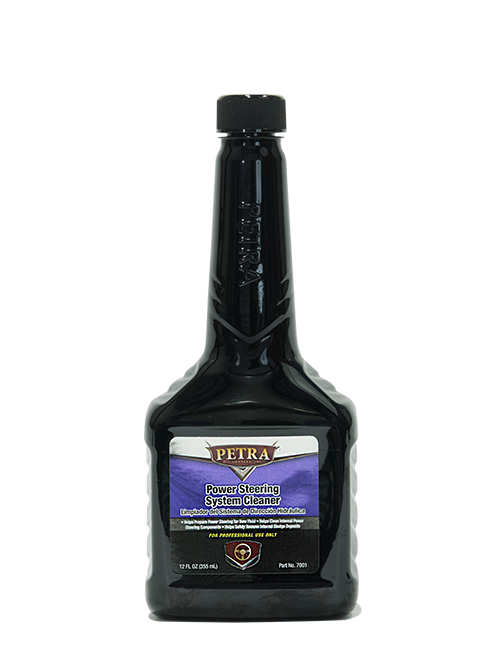 It is formulated to be non-foaming, non-corrosive and mix with most factory fluids while helping to protect seals and maintain their pliability. 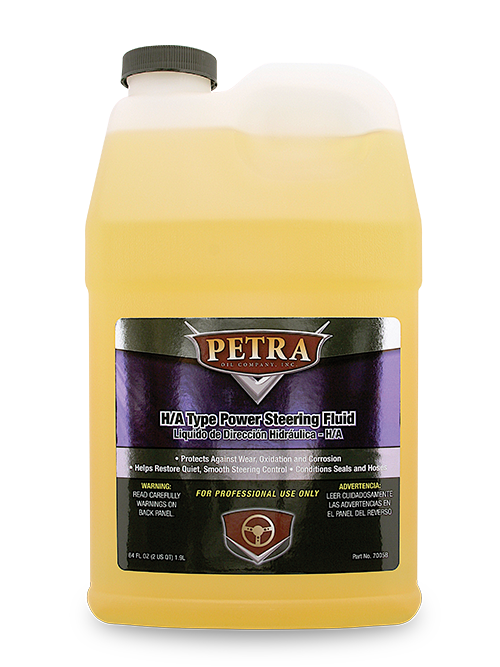 Petra’s Power Steering Fluid is a premium quality power steering fluid and conditioner that is suitable for use in most automobiles and trucks. 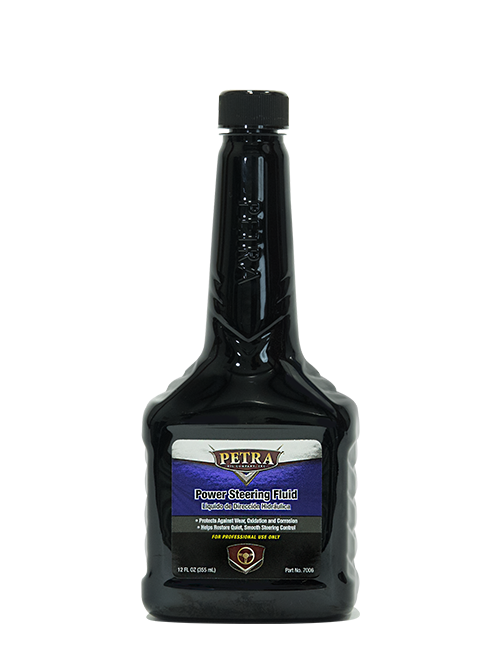 Petra’s Power Steering Fluid is formulated with premium quality lubricants and plasticizers that prevent the shrinkage and drying out of seals and meets most domestic and import vehicle specifications. 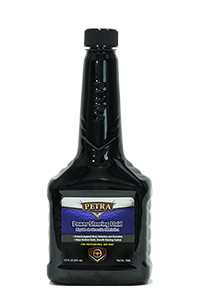 It is formulated to be non-foaming, non-corrosive and mix with most factory fluids while helping to protect seals and maintain their pliability. 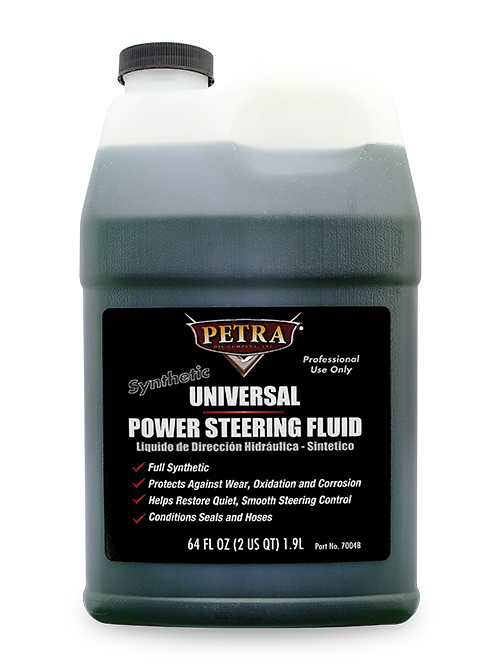 Formulated for use with all power steering fluids, Petra Universal Power Steering Cleaner cleans away harmful sludge, varnish, gum and deposits while helping to extend power steering system component life. As PSF deteriorates, sludge and varnish can build up in the pump leading to power steering failure. 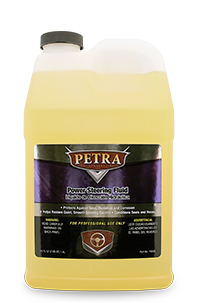 Petra Universal Power Steering Cleaner removes sludge, varnish, gum and other contaminants from the pump and cleans fluid lines. Keeping the system clean improves steering and extends the life of the power steering pump. 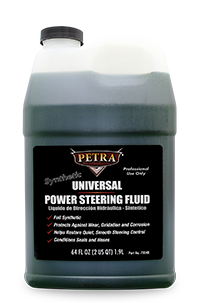 Petra’s Synthetic Universal Power Steering Fluid combines exceptional low temperature fluidity with outstanding shear stability to meet and exceed the most stringent performance requirements of the OEMs. 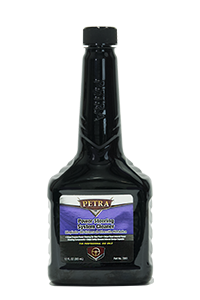 This product is a specifically formulated fluid for use in power steering systems that require high performance lubricating fluids such as CHF+. Not recommended for top off. 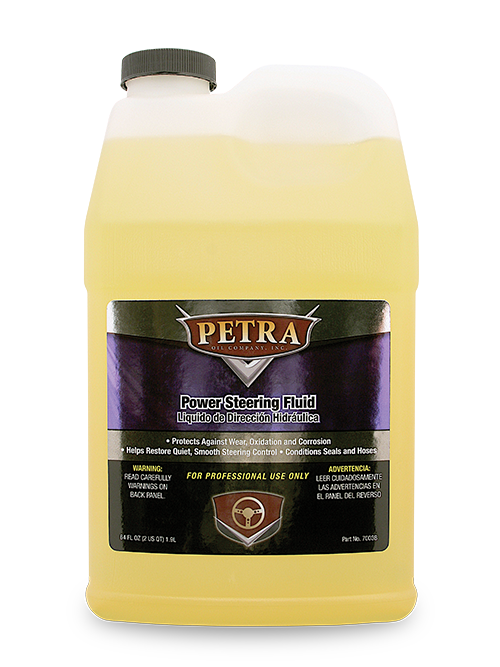 Petra’s Power Steering Fluid for Honda/Acura is a premium quality power steering fluid and conditioner that is suitable for use in Honda/Acura power steering systems. It is formulated with premium quality naphthenic/paraffinic base lubricants and a carefully selected additive package to provide enhanced performance in Honda/Acura power steering systems. 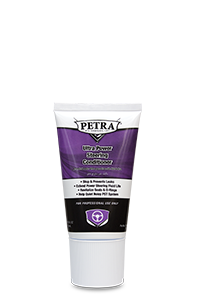 It is formulated to be non-foaming and non-corrosive. 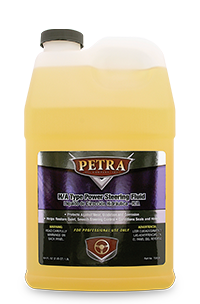 Petra’s Power Steering Fluid for Honda/Acura is designed to keep power steering units clean and to reduce wear and valve noise over a wide temperature range. 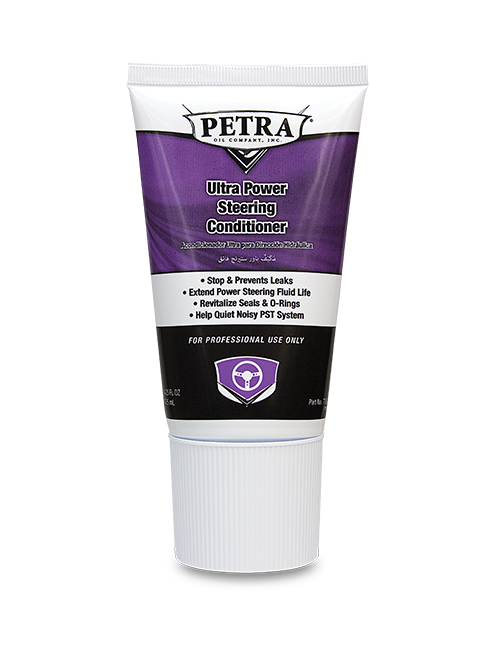 Petra Ultra Power Steering Conditioner is specially formulated to stop and prevent seal leaks, extend power steering fluid life and revitalize seals and O-rings. This product is compatible with most power steering systems including those in which either conventional power steering fluids or automatic transmission fluids are recommended by the manufacturer.